Click poster above to download the printable .pdf to share with others! 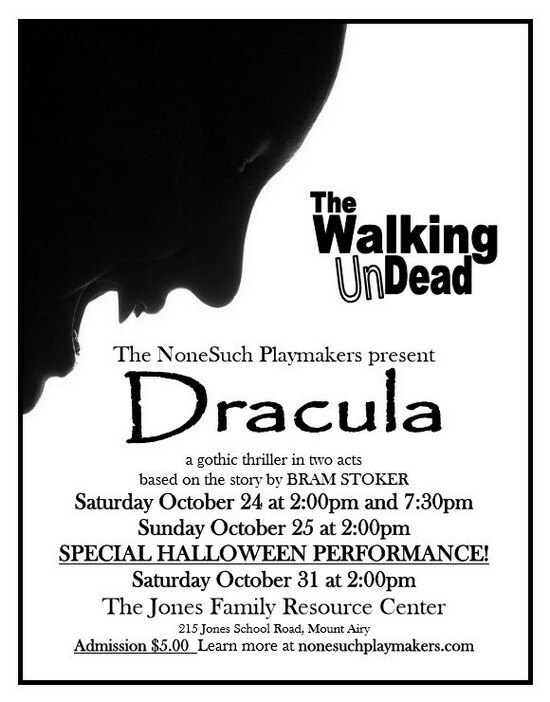 Saturday, October 31, 2015: 2:00pm Special HALLOWEEN DAY performance! Admission only $5 at the door! The quiet English village of Whitby is beset by terror after an enigmatic Transylvanian nobleman, Count Dracula, moves into a run-down estate home near the town in 1893. The overseer of a nearby asylum, seeking help for a dying young woman, calls upon esteemed metaphysicist Abraham Van Helsing. When Van Helsing’s daughter arrives in his place, she announces her unbelievable theory—the woman and the entire village are in the clutches of the king of the vampires! Thus begins a cat-and-mouse game to locate the creature and destroy him. But Dracula has survived for more than four hundred years. He and his otherworldly followers rally to strike first and enslave Van Helsing and her allies! 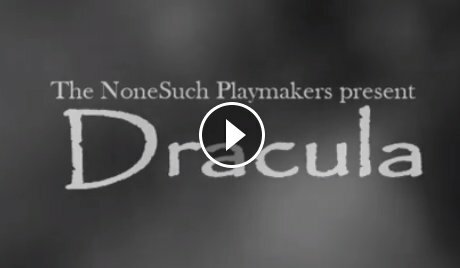 Set in 1893, this unique staging of the classic story of Dracula combines the best of gothic romance and edge-of-your-seat horror!